I came to Tarkovsky’s work through seeing Solaris in 1975 in London, attracted by its source in the Stanislaw Lem science fiction novel which I’d read in 1970; I can still recall the impact of its rich, slow rhythms and obscure conversations which pointed to an alternative to the western idea of character-through-action. (Although I eventually discovered that Solaris was far from Tarkovsky’s best work, I still found it hypnotically immersive when I watched the Criterion Blu-ray two years ago.) My next encounters were with two of his masterpieces, both seen in Hong Kong’s Cinema One film club in late ’80 and early ’81 – his overwhelming historical epic Andrei Rublev and his second SF film, Stalker (which I consider his greatest work); then came my favourite Tarkovsky film, the haunting Mirror, which I saw several times in London in 1984, around the same time I first saw Nostalghia (each film helping to illuminate the other); and finally The Sacrifice two years later, here in Winnipeg. 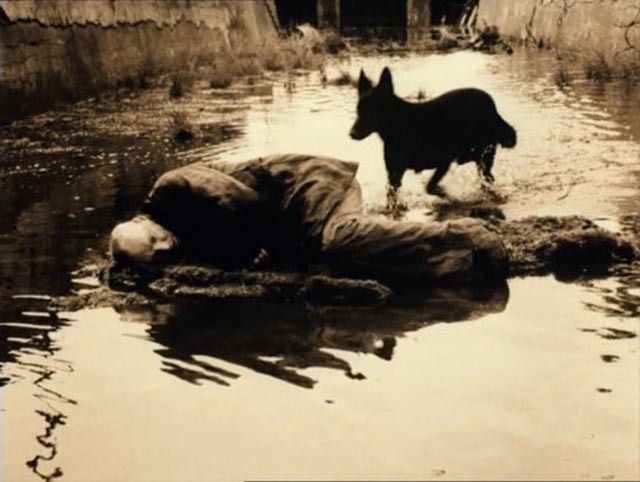 Thinking of the impact these films had on me in the theatre, I wonder what it would have been like to encounter the amazing work of Bela Tarr on the big screen. Damnation, Werckmeister Harmonies and the epic Satantango seem so overwhelming even on DVD that I can only imagine how much more they would have affected me in a theatre … the catch is, I never would have experienced these films at all without home video. True, I do still encounter films which, like those of Tarr, have a deep impact even on DVD. 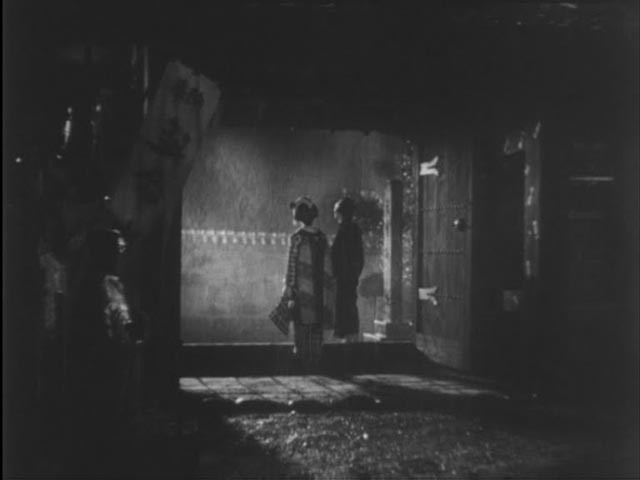 For some reason, a number of Japanese movies spring to mind – Kobayashi’s monumental humanistic epic The Human Condition, which I first saw about a decade ago; several of Naruse’s subtle dissections of social despair; Yamanaka’s exquisite Humanity and Paper Balloons and Kinoshita’s deeply moving Twenty-Four Eyes. But even these don’t seem to have embedded themselves as deeply into me as films I saw three and four decades ago, because, I think, once again they required less effort to “acquire”. GORD: Every movie we watch now is built on an initial early experience/memory. The films are powerful and lasting in our brains. We want to repeat the experience but find the ease and convenience somehow taking away from it. I think there is a need for a concerted effort on the viewer’s part to isolate themselves, to understand the nature of the medium (not the transmogrified mass culture experience of the multiplex/internet/netflix), but the nature of film as a storytelling medium – to sit in front of the film and try (hopefully) to wipe away the film’s source (dvd/bluray/theatre/netflix) and simply see it for what it is. I think that is very difficult. Watching movies at home is about comfort and zoning out (tied, I think, to early TV watching). So it’s a fight. We want comfort. I want comfort. But looking at “art” is not a comfortable experience; it wants us engaged in it; it demands an emotional investment. The perfect film is both engaging and exciting but does not overwhelm us. It takes us into a world and involves us in an emotional experience and somehow changes us. It gives us the ability to see an intrinsic and undeniable truth about ourselves. Essentially it can be compared to any relationship we have; it is distant enough to give us a perspective and close enough to allow us an emotional response. Good film allows us the distance to observe and an emotional connection, that is the same as what two people need to live together. It doesn’t numb us or alienate. It allows us to bridge the gap between ourselves and the experience. The movies that have stuck with me for years and still exert a pull when I think of them are the ones which really use the medium to create a “total” experience, a complete world which may or may not have a direct connection to the “real” world … I can still remember the feeling of walking out of the theatre after a matinee, sun shining, and feeling as if the world around me had changed in some way, or wasn’t quite as solid as it tried to seem. I used to feel energized after a movie, subtly changed … but I seldom get that feeling any more because I seldom feel completely enveloped by the experience, even the good ones. Ironically, my capacity to appreciate this thing which has been so important to me, about which I have felt so passionate for so many years, has steadily diminished in direct proportion with my ability to possess movies as objects. Like the proverbial kid in a candy shop, I have perhaps consumed so much that I’m gradually losing my taste for the treats in front of me. 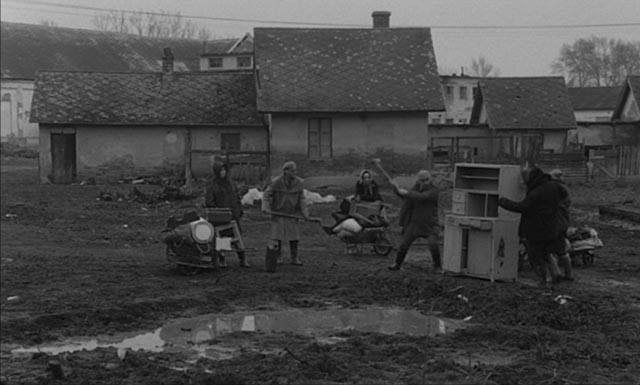 This entry was posted in Commentary and tagged Andrei Tarkovsky, Bela Tarr, Directors, Gord Wilding, Movie Theatres. Bookmark the permalink. I know what you mean, Megan. I too was surprised by his erudition! Kids? We’re grumpy old men!